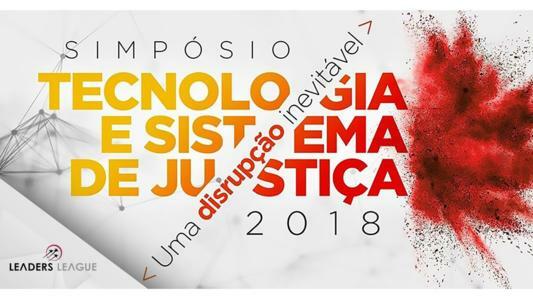 On the 1st of October, the Court of Justice of Rio de Janeiro (TJERJ) hosted a symposium entitled “Technology and the Legal System: An Inevitable Disruption” to discuss the impacts of new technologies on the judiciary and the legal profession in Brazil. Leaders League – Brasil attended the event which was supported by Fundação Getulio Vargas Direito Rio (FGV - RJ), Escola de Magistratura do Estado do Rio de Janeiro (EMERJ), the Public Prosecutor’s Office of Rio de Janeiro (MPRJ) and the Brazilian Association of Lawtechs and Legaltechs (AB2L), amongst others. The symposium was additionally sponsored by a number of companies, including Licks Attorneys and LexisNexis. Technology is transforming many aspects of people’s lives, including their professions and their day-to-day work. In the legal field, change can already be felt. New technologies are affecting the market both directly – by creating novel situations not anticipated by legislation – and indirectly – by creating advantages for those who embrace them. In Brazil, a number of courts have already made the jump from traditional lawsuits to digital disputes, with some studying the potential for artificial intelligence. Legal culture and the very notion of legal work is slowly being altered, and this new reality raises several questions about the future of the legal profession. The symposium gathered impressive names from the legal market including speakers, such as Ian McDougall (Executive Vice-President and General Counsel of LexisNexis), Alexandre Câmara (Judge at TJERJ), Yasodara Cordova (Researcher at Harvard Kennedy School and Founder of Operação Serenata de Amor) and Bruno Feigelson (President of AB2L and Founder of Sem Processo). The speakers addressed the technological challenges faced by the public and private spheres in Brazil, as well as the future of the legal profession and innovative solutions for the legal market. Following Ms. Cordova as speaker, Mr. Feigelson explained that after realizing Brazil spends very little on innovation and a great deal on its judiciary, he came up with an idea. He created Sem Processo, a platform which allows for negotiations by connecting the legal department of companies with plaintiff’s lawyers and stimulating a deal between them. According to Mr. Feigelson, “the new reality of our legal universe is technology”, and so he hopes Sem Processo will help to reduce the number of disputes in Brazil. As the seminar came to an end, it became clear to all those in attendance that technology will continue to become increasingly relevant in the legal field both in Brazil and abroad.